HostingRadar → Home / Technology / Web Hosting / Web Hosting Reviews / Honest Bluehost Review (2019) Best Web Hosting? Honest Bluehost Review 2019 – Choosing the best web hosting company for your business takes much consideration. Notably, Bluehost is one of the most well-known web hosting companies there is. They are famous for having some of the fastest uptimes paired with below industry-standard low prices. There are other factors at play that may or may not make Bluehost the best web host for your WordPress website. 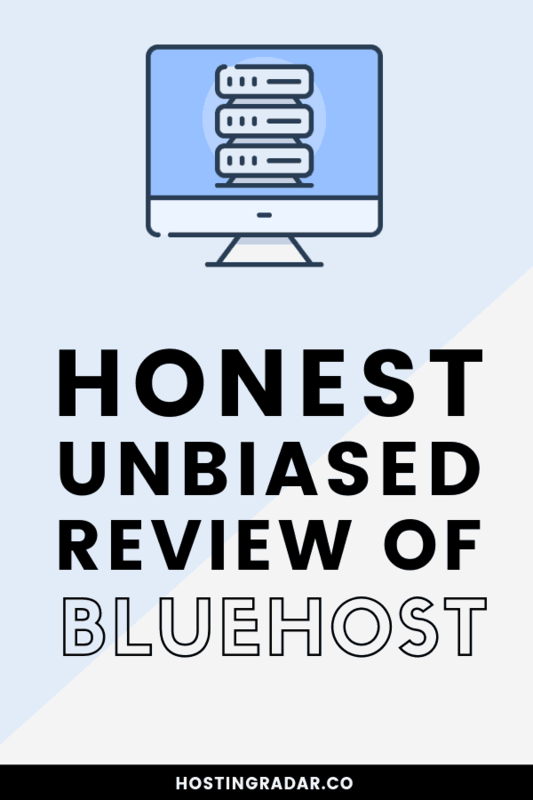 This honest Bluehost review will dig into the pros and cons of Bluehost and explain everything in non-techy terms so you can make the right web hosting decision for your website hosting needs. Bluehost’s reputation for affordability and reliability has earned them over 2 million customers, to date. They offer some of the best prices, and features without sacrificing quality. Notably, Bluehost is officially recommended by WordPress.org. They are one of the biggest web hosting companies, yet manage to reach fast load times and 99.99% uptime consistently. Furthermore, the features and service Bluehost offers, paired with plans starting at less than $3 per month is quite impressive, to say the least. We will discuss all the performance stats, features and pricing details in this comprehensive and honest Bluehost review. 30 Day money-back guarantee and no hidden charges: Unsatisfied? Contact Bluehost within 30 days for a full refund. Similarly, Bluehost continually delivers fast page load times. Bluehost is known for its world-class security and includes a number of security features for all customers at no extra charge. With Bluehost you can lock in the $2.95 per month promo deal for up to three years, which is awesome! Bluehost has a very straight-forward refund policy which allows for a full refund is plan is canceled within 30 days. Bluehost offers 24/7 support to customers on all hosting plans, which is great. We have found the service to be helpful, fast and friendly. This wouldn’t be a completely honest Bluehost review unless we touched on the improvements Bluehost has made in their customer service department over the years. We have personally reached out to Bluehost chat support several times over the many years we have been a customer of theirs. We can personally confirm that Bluehost has made major improvements in how they handle customer support issues, and they are doing a great job these days. Bluehost representatives are knowledgeable and friendly. We don’t understand why Bluehost doesn’t offer one free website migration, or why their migration service price is so high. For example, their competitor SiteGround offers 1 free migration service perfomed by a SiteGround tech person, and then more migrations after that are only $30. 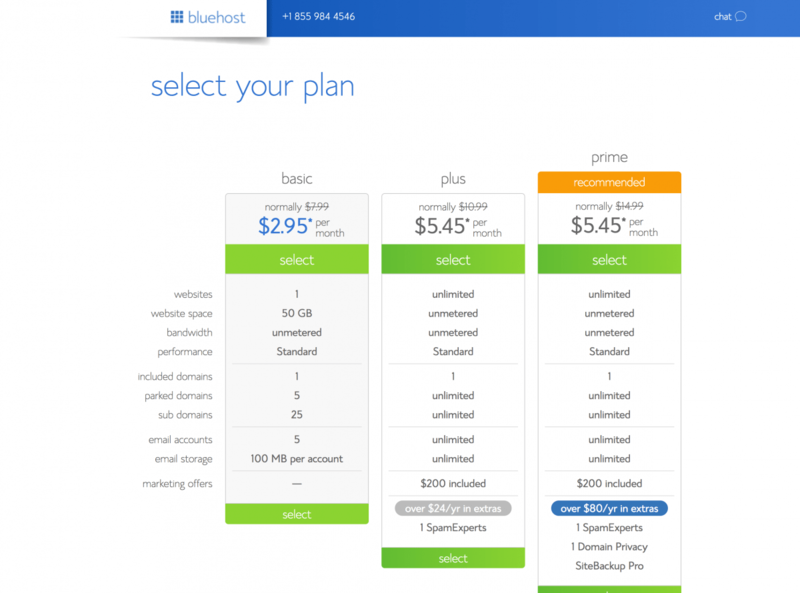 With Bluehost, the service will cost you $149.99. If you have no need to migrate a current website from another host to Bluehost, then this issue won’t be a problem or concern for you. But if you are wanting to move your current website to Bluehost, it can be costly. We are happy to confirm that Bluehost offers one of the cheapest web hosting solutions, including affordable hosting renewal rates. But, the domain registration fees aren’t as good. Bluehost offers customers a free domain for the first year. After that, the renewal price is a bit higher than most. Bluehost also charges .99 cents per month for privacy protection, which is also high. To work around this issue, we recommend that when you sign up for Bluehost you decline the free domain. Instead, purchase your domain at WhoIs or Namecheap and then point the nameservers to Bluehost. You will save the most money this way. Bluehost offers excellent 24/7 support, but it can sometimes take up to 2 minutes for a customer service rep to join the chat. Click here to learn about these different types of hosting plans. Yes, we can confidently recommend Bluehost as a quality web hosting company that provides above average service and features for below average prices. We recommend Bluehost to anyone looking for an easy-to-use web hosting solution without breaking the bank. Bluehost is a great option for WordPress web hosting. They are not necessarily the best web host but they do offer solid features and wonderfully cheap prices that make them a major player. Save 63% off web hosting, with plans starting at only $2.95 per month when you trigger this Bluehost coupon, exclusive for HostingRadar.co readers. The Bluehost discount will be automatically applied to your cart.